Financial Ratings Series Online combines the strength of Weiss Ratings to offer the library community with a single source for financial strength ratings and financial planning tools covering Banks, Insurers, Mutual Funds and Stocks. This powerful database will provide the accurate, independent information your patrons need to make INFORMED DECISIONS about their financial planning. Grey House Publishing is proud to announce the 2019 Editions of Weiss Ratings’ Investment Research Guide to Stocks. This quarterly guide is the ideal resource for accurate, unbiased ratings and data to help citizens across the U.S. choose the most profitable stocks at the most efficacious times. Taking into account the thousands of stock options available, it is no surprise that consumers need assistance. It is a complex subject and consumers want unbiased, independent guidance in helping them find a path to investing that is focused on their needs. Weiss Ratings Investment Research Guide to Stocks gives investors and consumers independent, unbiased data on which stocks to consider and which should be avoided. Updated quarterly, each 600-page guide provides a number of ways to locate data on over 11,000 stocks. The Investment Research Guide to Stocks is divided into seven main sections, preceded by an introductory section and followed by a thorough Appendix. Weiss’ complete letter-grade rubric is detailed within the introduction—an easily accessible reference for users researching companies in this Investment Research Guide. The introductory section begins by welcoming the user and laying out the mission statement, followed by a “How To Use This Guide” orientation to the book. The final components of this section are an explanation of the Financial Strength Ratings used in the book and a page of important warnings and cautions for the user to take into account when evaluating stocks. Section I, Index of Stocks, This section contains Weiss Investment Ratings, key rating factors, and summary financial data for 11,000 U.S. traded stocks. Over 30 data points are displayed for each stock, including data on Market, Overall Rating, Risk Rating, Reward Rating, Stock Prices, Beta, Ratings Factors, Total Returns, Dividend & Yield, Asset Size, Revenue & Income, Earnings, Effectiveness and Price/Earnings, Price/Sales, Price/Book Valuations. Section II, Best Performing Stocks, For those who want to achieve the highest return, balanced with the amount of risk, this section highlights the top stocks with the best financial performance. Section III deals with High Yield BUYS: This section identifies the highest rated stocks that pay dividends. Section IV details Stocks with High Volatility, For those who want to trade their stocks often with a possibility of making a profit from wide swings in price, then stocks with high volatility is the list for them. These stocks may involve more risk but could potentially have a high reward. Section V contains a list of all Undervalued Stocks by Sector, If users are looking to find a hidden gem, then this list is the place to turn. On this list, readers will find highly rated stocks that are undervalued and often overlooked by many investors. Section VI, BUY Rated Stocks by Sector, For those who want to stick with a certain sector, this section makes easy work of locating highly rated stocks within a particular sector. Section VII, Expanded Analysis of All A Rated Stocks, With additional data points and informative performance charts that plot a stock’s price over the course of the last year, this section provides the user with additional data on stocks with our highest investment rating. 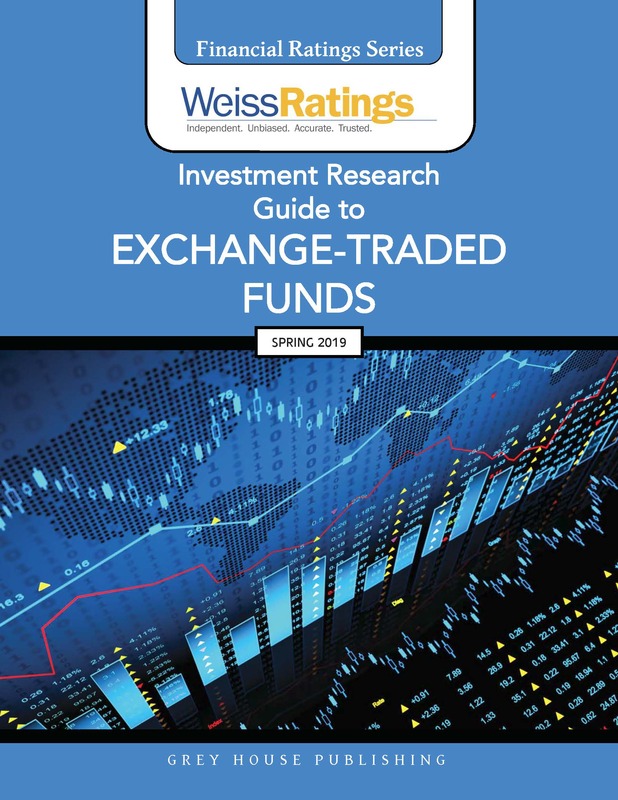 The Guide ends with an Appendix containing two sections: an overview about Weiss Ratings Investment Research Guides and a Glossary containing the most important terms used throughout the publication. 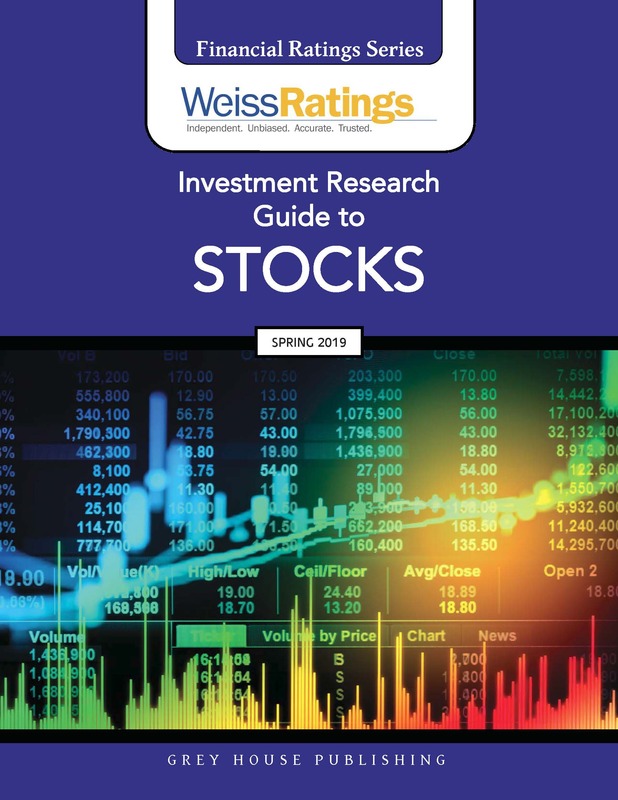 Weiss Ratings’ Investment Research Guide to Stocks presents the most comprehensive, accurate, and independent analyses and ratings of stocks in an accessible format, so users at any level can easily navigate through this incomparable resource. Since the Investment Research Guide is published quarterly, the information and ratings react quickly to changes in the industry, and users can rest assured that all ratings are up to date. Whether the user is just getting started in the stock market, or a seasoned professional looking for sound advice, this Investment Research Guide is the best and only source for unbiased and timely analyses. 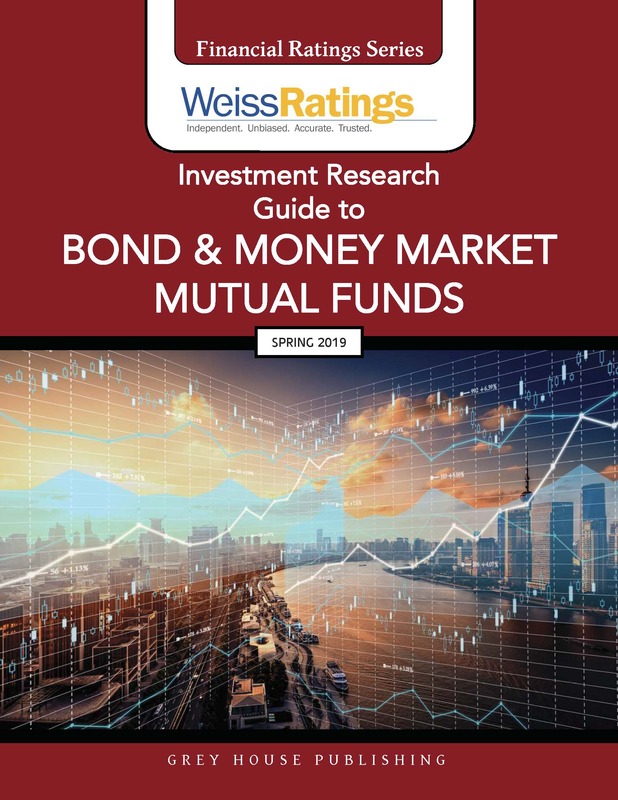 This informative guide provides ratings and analyses of more than 8,000 bond and money market mutual funds, including corporate, high-yield, municipal, mortgage security, money market, global and government bond funds. Updated quarterly to provide readers with the latest information. Since the first exchange-traded fund launched in 1993, their popularity has continued to grow and they have gathered assets rapidly. Guide to Exchange-Traded Funds provides independent, unbiased ratings and analyses of over 2,200 exchange-traded and close-end funds, more than any other resource. Updated quarterly to provide readers with the latest information.